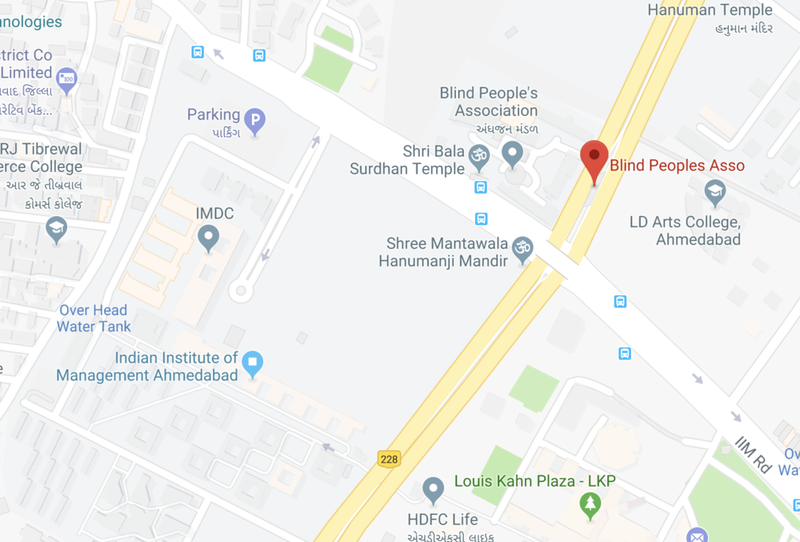 Here, we provide information on all things travel related, including visas, booking transportation and accommodation, and sightseeing options in Ahmedabad and India. We strongly recommend that all applications and bookings be completed about two months in advance of the conference (by October 31) to ensure processing time and availability. If you have any questions that are not addressed here, please email travel@ictdx.org. All foreign nationals entering India are required to have a valid visa and a passport valid for at least 6 months after their date of entry. There should be at least two blank pages in the passport. The Indian government supports both the eVISA Application and Regular Visa Application methods. If you have a United States passport, you can apply here. There are several types of visas, and those traveling specifically for ICTD 2019 should apply for a conference visa (which follows the regular visa application process). To request a conference visa support letter, please fill out this form. Please note that we will be providing visa support letters only for conference visa applications. For any further assistance, you can call the Government of India e-Visa support center 24/7 at +91-11-24300666 or please email your query to indiatvoa@gov.in. Make a note of your temporary reference number. If the website throws error messages or freezes, you can try completing the form again later by using your temporary reference number to retrieve your partially filled form. A visa application form will be generated with the High Commission logo at the top. Print two copies (and another one for yourself) and sign them. Save the document in case you need to reprint. For participants from Pakistan, the port of entry into India must be Delhi, Mumbai, or Chennai. Ahmedabad is not an available port of entry for Pakistani citizens. Pakistani citizens holding two passports should apply for a visa on their Pakistan passport. Please get in touch with us if you have questions (travel@ictdx.org). The conference will be held at the Indian Institute of Management Ahmedabad (IIM-A), one of India's most highly reputed management institutes, located in Ahmedabad, Gujarat in western India, and notable for its unique architectural style. The Sardar Vallabhbhai Patel International Airport in Ahmedabad is well connected to many major international cities. Recommended international airlines include Emirates, Etihad Airways, Air India, Singapore Airlines, and Qatar Airways . If direct flights are not available, you can also book a flight to Mumbai or Delhi and fly to Ahmedabad internally. You can use domestic travel websites such as MakeMyTrip.com or Yatra.com to book tickets. Among domestic airlines, Indigo, GoAir, and Vistara are highly recommended. Ahmedabad is well connected by train to all major cities in India, so this is an option for domestic travel as well. You can buy train tickets from the Indian Railways website. We suggest booking train tickets well in advance as trains can become completely booked. IIM-A is a 45 minutes drive from the airport and about 30 minutes drive from the train/bus stations. There are many options for travel. There is pre-paid taxi available at the airport before you exit the airport. Choose IIMA Vastrapur option in Uber/Ola and request them to drop you at “IIM-A Main Campus” or your accommodation. The Ahmedabad Municipal Transport Service also operates buses throughout the city, including one from the airport. Metered auto rickshaws provide an alternative mode of transport. Ahmedabad is a relatively small city compared to other major cities in India, and travel is fairly straightforward. Ola and Uber are popular options, and there is also a dedicated bus transit corridor (BRTS) and metered auto-rickshaws that are widely used (these “autos” pretty much only accept cash). All participants will also receive a copy of 101 Ways to Experience Ahmedabad by Anjali Desai. This book describes things to do and see in Ahmedabad that go past the standard tourist attractions! For other events around the time of the conference, the International Kite Festival will be on-going from January 6-14 in Gandhinagar, just north of Ahmedabad. In other parts of India, the Kochi-Muziris Biennale, a large and exquisite exhibition of contemporary art, will be held in Kochi, Kerala in south India. If you are keen to travel, this is an event not to be missed!